With the huge sales of smartphones, tablets and the Ipad, analysts expected the days of PC and laptops to be numbered. However, as we can see, that isn't true as buyers need more and more powerful devices each passing day. Be it design, that you care about, or just sheer performance, or maybe the OS (Windows/ iOS/ ChromeOS), here is a list of the Best Laptops 2017 has brought! Whatever you need to get done on your laptop, be it gaming or something else, the following list of the Best Laptops in the World 2017, will fulfill your need with ease. However do keep in mind that throughout 2017 this list is going to be updated, as and when better devices get released. 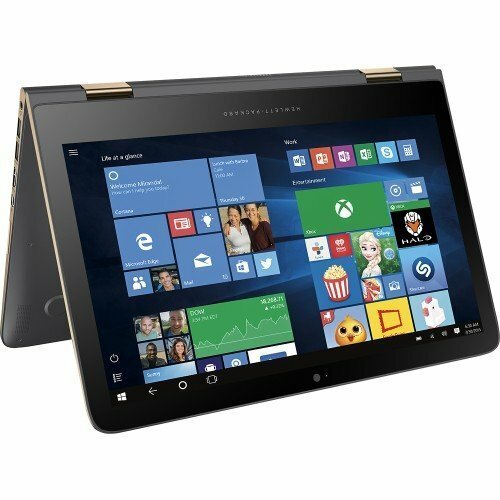 Since these are the best laptops, they do cost a lot, so the list has been prepared with great detail. 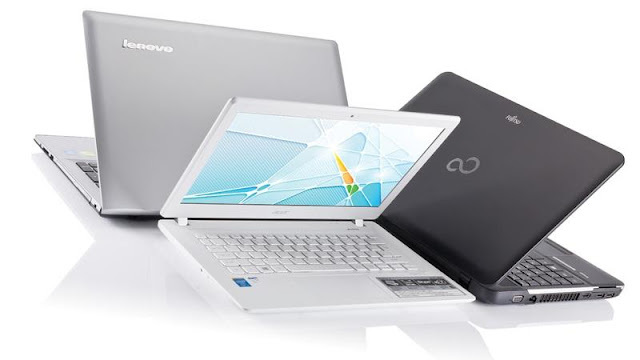 You are advised to go through the list completely so as to choose the best laptop according to your needs! • Display - 1920 x 1080 pixels which can go upto 3200 x 1800 pixels resolution • Size - 11.98 x 7.88 x 0.33-0.6 inch • Weight - 2.7 Pounds(1.2kg). 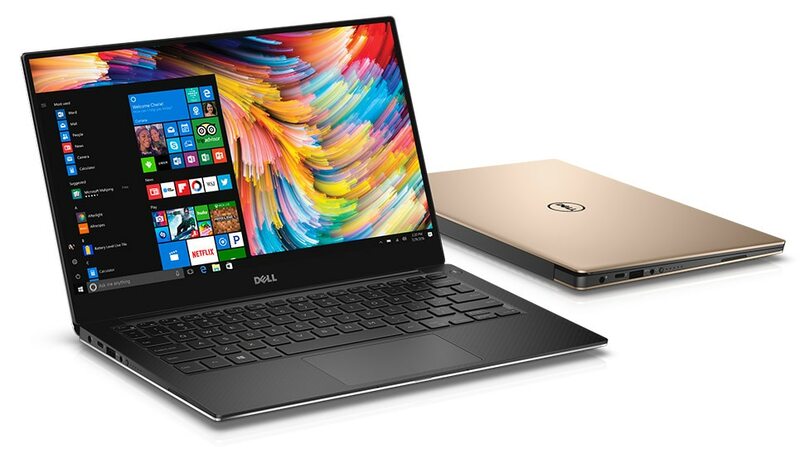 Dell XPS 13 is the best laptop overall. No laptop, that has been released till date, seems to beat this monster. It offers a 13 inch screen, with a pretty wide viewing angle in the smallest set-up compared to any other competitor laptops. While Dell's marketing team calls the display "Infinity Display", there are very thin (5.2 mm) bezels on the screen sides which separate the display from the laptop edge. However this laptop offers the best edge to edge display ever; which creates the illusion as if the screen is floating above the base of the laptop. With its UltraSharp QHD+ display boasting a resolution of 3200 x 1800 resolution and 400 nit brightness, the screen comes protected by Gorilla Glass material, adding to its durability. Along with that its metal edge provides the screen with optimum security against damage from accidental drops. While Apple's top-of-the-line Retina Display is gorgeous, the display offered by this little beast is by no means second to any laptop out yet. 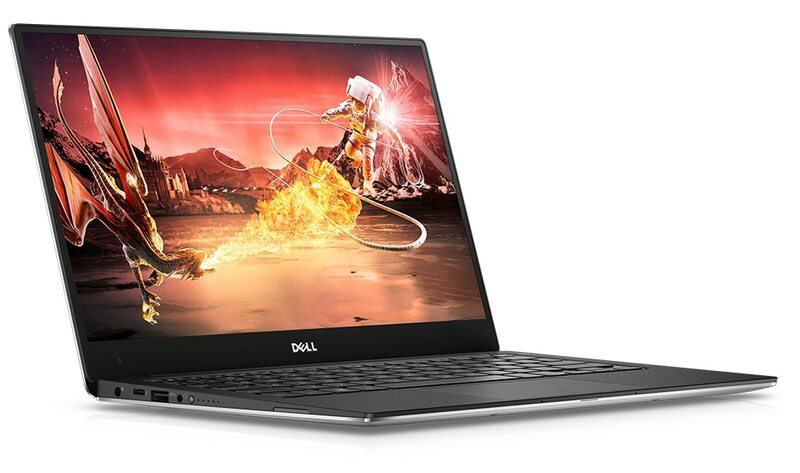 It won't need a close scrutiny of Dell's flagship laptop to find that it has followed Apple's simplistic approach to design. 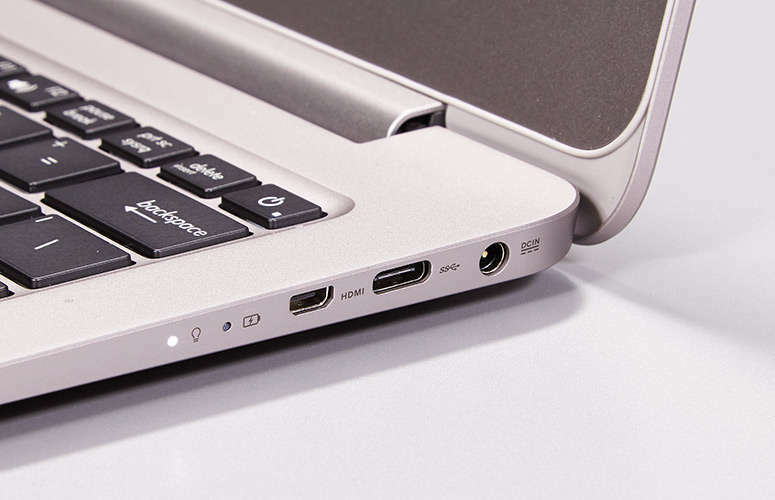 Packed with a SD card reader, two USB 3.0 ports, a headphone jack, a lock slot and a USB-C port with thunderbolt support - the port configuration is quite identical with the ports in Apple's latest Macbook Air. The only difference is that Dell uses Thunderbolt 3 for faster data transfers (upto 40Gb/s). With the Satechi adapter, Dell's USB-C port can be tranformed to two USB 3 ports, or SD and Micro-SD card readers. It's fully backlit keyboard, surrounded by a carbon fibre palm rest and precision touchpad is quite eye-catching. The Asus Zenbook UX 306 is undoubtedly the one of the best laptop in the world during 2016 and remains so till date in 2017. Asus, continuing with its trend of ultraportable laptops has made this device, which is quite dazzling in its design. While the UX 306 comes only in a silver colour, its thin lightweight body made of aluminium is quite gorgeous! The 13 inch Full-HD display is surrounded on all sides by a thick bezel. That aside its silver colour helps hide smudges by finger oil that was quite prevalent in its predecessor which has a dark body. 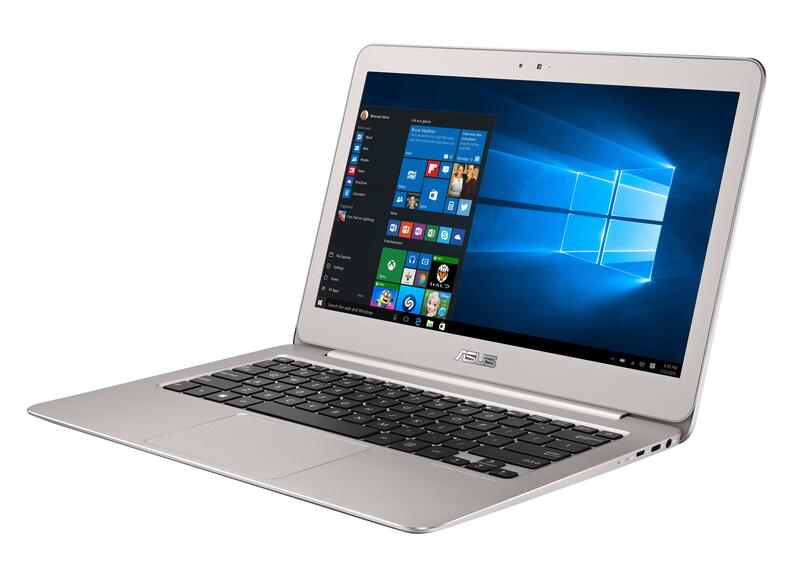 Its design is quite similar to the UX 305; it has a silver, metallic lid and the Asus logo is located on its centre. The display is of Samsung SDC3724A IPS panel which features bright and bold colours. It covers 100% of the sRGB colour gamut and its brightness is of 320 nits. The Zenbook UX 306 is quite lightweight at about 1.19 kg (2.6 pounds) and is 13.9 mm thick at the thickest point. The dimensions of its screen are 12.8 x 8.9 x 0.5 inch. Due to its thin size, the ports have been somewhat compromised with. It features one USB 3.0 port, one USB 3.1 port(without thunderbolt support), a headphone jack, a SD-card reader slot and one micro-HDMI port. The keypad of the Asus Zenbook UX 306 is accurate and quite smooth and you shouldn't face any clicking issues with this model. Since this is a Chromebook, it is somewhat different to most devices you have used, so I am summing up all the important points. 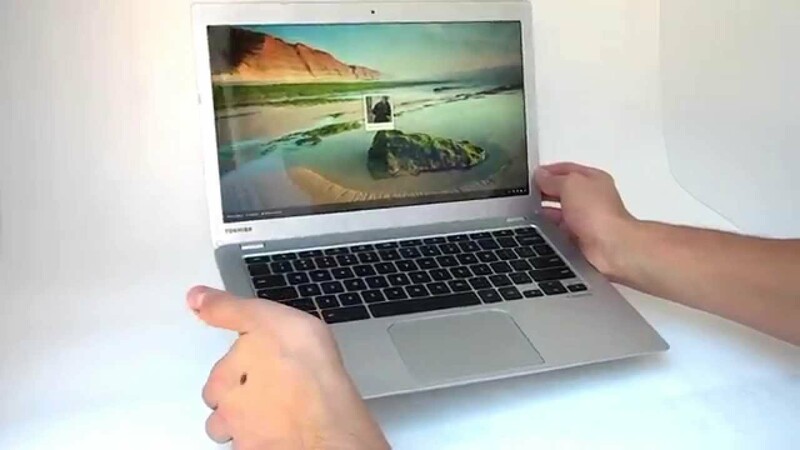 The Toshiba Chromebook 2, a well sized lightweight laptop, at 19.3 mm thickness and weighing about 1.35 kg, it will easily fit into a regular bagpack. 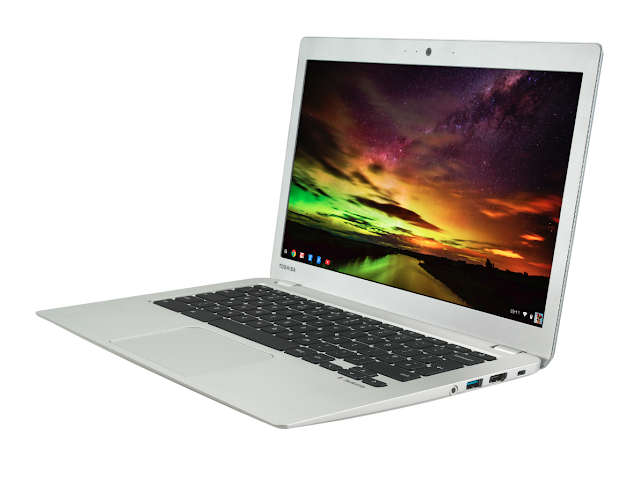 The simplistic design of this Chromebook, with its rounded corners and the dot pattern on the top, adds to its overall beauty. The silver coloured laptop with a plastic body doesn't feel too durable though. The micro-USB 2.0, SD Card slot and charging socket is located on the left side while the HDMI port, headphone jack, Kensington security lock and the USB 3.0 slot is on its right. The 13.3 inch Full-HD (1920 x 1080 pixels) display is quite amazing, though a 1366 x 768 display is available at a little lower cost. Chromebook 2's display boasts rich and bright(300 nits) colours and the quality of its black colour is quite impressive at its price range. Though it supports a wide viewing angle (enough for three people), colours distort and brightness lessens fast after a certain angle. The speakers, which are tuned by Skullcandy to give an impressive sound quality, are located beneath the keyboard. The keyboards in the Chromebook 2 are of a different design than most laptops and PC. The keyboard keys are designed like black tiles and are quite well sized but certain keys like Caps Lock and Delete have been omitted from the keyboard so it will take sometime to get used to it. Hitting the mute key once mutes the sound but hitting it again does not unmute it. To unmute, you have to press and hold the Volume Up key, which you may find somewhat irritating. The trackpad is quite big and easy to use. It doesn't have the usual left and right click buttons that you may find in other laptops. Tapping the pad with one finger activates the left click, while tapping with two fingers activates the right click. It also supports a wide range of gestures like swiping with two fingers right takes you to the previous page while swiping left takes you forward. Since this is a Chromebook, most of your stuff gets stored on the cloud while you get a 16GB storage on the device for anything that is incompatible on Google Drive. This device comes with a free Cloud storage of 100 GB on Google Drive. Since the Chromebook 2 runs Chrome OS, the device runs web apps instead of files. It uses the power of Google and Chrome to function best, so you need a stable Internet connection and a Google account. Some apps are available offline, but even changes in documents will be saved once you are connected to the Internet. Important apps are missing on this software but Google supplies you with its own alternatives, though you can download the apps that you prefer. All in all, the Chrome OS software is relatively easy to use and customize. According to Toshiba the device will last 9 hours with a full charge, so the battery life is not going to be a problem. A 30 minutes charge can boost the Chromebook 2's charge from nil to 30%. With a great display and design, this device is surely one of the best value-for-money laptops if staying connected to the Internet isn't going to be a problem for you. Though the Apple Macbook Air should have been a little more compact featuring thinner bezels, this device, with its durable aluminium unibody design supports its main body and its display. Its body doesn't bend easily and you can easily open its screen using one hand. If anything, then its aluminium body is prone to scratches. Though the design is not bad, it does seem somewhat old when you compare it with the other laptos on this list like the Dell XPS 13. Apple claims that the 13 inch Macbook Air contains flash storage which is about 2x as quick as its predecessor. It is available in two specs configuration and starts at 4GB RAM, 1.6 GHz turbo-boosted to 2.7 GHz, dual-Core I-5 CPU and a flash memory of 128 GB. On the left side is a port for power connection, USB 3.0 port and a headphone jack, while the right side contains a USB 3.0 and a thunderbolt 2 port along with a SD Card reader. The 13 inch Macbook Air features the OS X 10.10 Yosemite which can be updated freely to the El Capitan software. 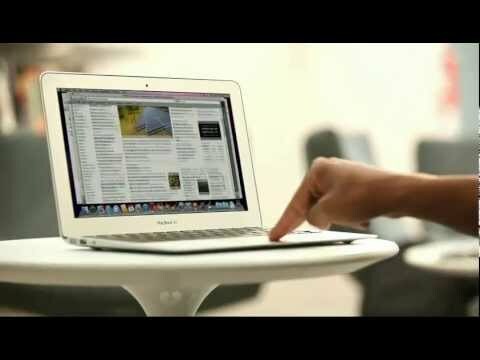 The Macbook Air averaged 612.4 Mbps write speed and 1243 Mbps read speed. The keyboard keys are slightly convex in appearance and feels great to type with them. Also they are backlit and can be easily cleaned. Along with that the trackpad is quite smooth and can be quite easy to operate. 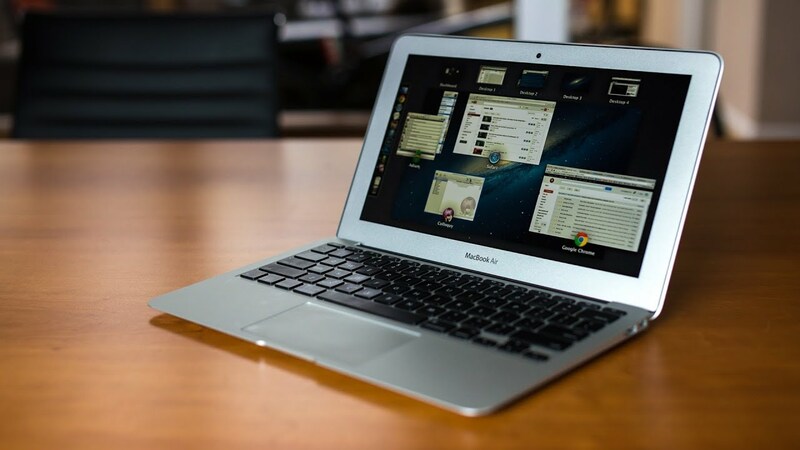 The Macbook Air features a 720 pixel camera which is quite sufficient for apps like Skype and Google Hangouts. However the Intel 6600 Graphics of this laptop isn't great but sufficient for playing most games at medium resolution. 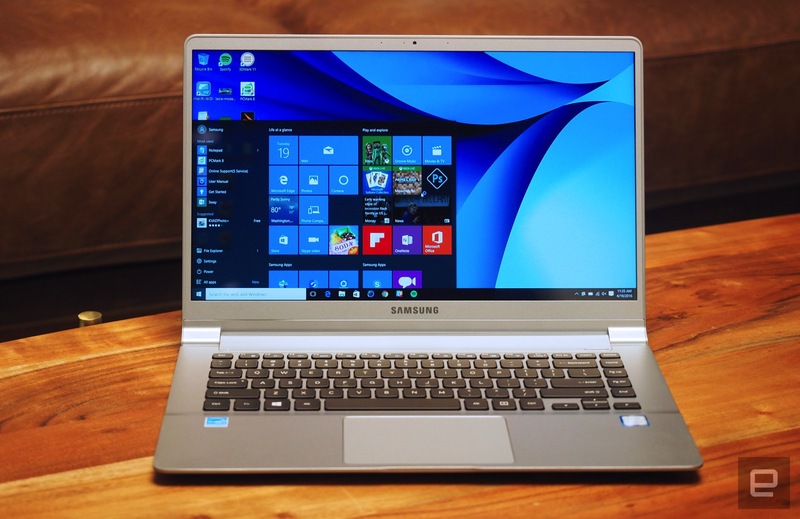 The Samsung Notebook 9 devices are quite light in weight and their design is quite thin. The Notebook 9 is available with 7th generation Core i5 or Core i-7 processor with about 8 GB RAM and a 256 GB of SSD internal storage. Also its models are available in the weight margin of 816 grams to 985 grams. As for its connections, the Samsung Notebook 9 contains dual USB 3.0 ports, USB Type-C port and a micro-SD slot. Its display is Full HD, with a wide angle view and a 350 nit brightness view and it features a fingerprint scanner. A single recharge takes about 90 minutes at the top due to fast charging technology and the battery life is sufficient enough to last for 12 hours straight. The Notebook 9 also comes with Windows 10 OS. The keyboard is again a very good feature of this device. With ergonomically designed keys and a glass coated touch-pad, this keyboard is surely very easy and smooth to use. The Surface Book by Microsoft is a laptop packed with high-end specs that also doubles as a tablet. With a 13 mm thickness at the front to 22 mm thickness at the rear, weighs between 1.4kg (3.3 pounds) for the non-Nvidia GPU version to 1.5 kg (3.5 pounds) for the Nvidia GTX 965M 2 GB DRR5 graphics card packed version. A flat and simplistic design of its silver magnesium body, gives the Surface book a rather gorgeous look, sleek feel and a durable body. Boasting chisseled sides at both ends, the laptop hinge, doesn't fold flatly; rather it coils on itself like the binding of a book, leaving about a quarter-inch gap between the screen and the keyboard. 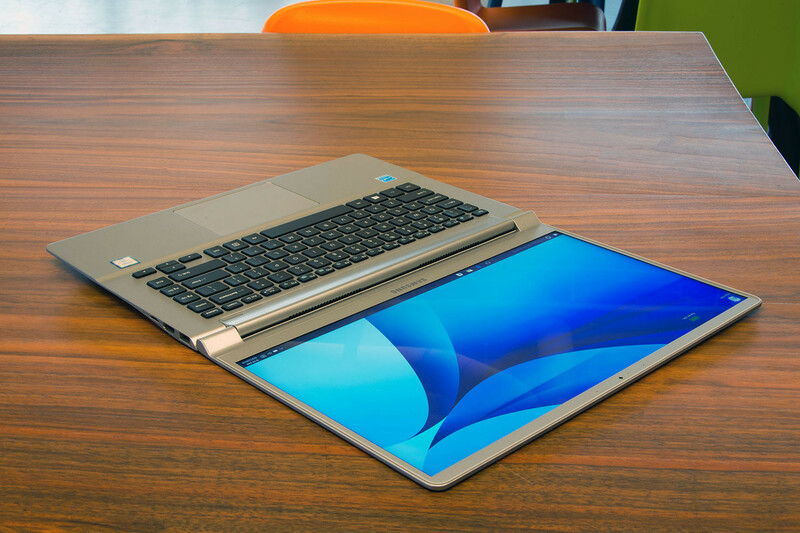 Though the laptop is completely solid, the display can be detached to perform as a standalone tablet. The stand-alone tablet portion weighs just 1.6 pounds. If you buy the Nvidia GPU included model (which is recommended), then the GPU will be housed in the keyboard section along with a 60 Watt-hour battery, and whenever the tablet will be attached, the performance will radically improve and be on par with almost a gaming laptop. When undocked, the tablet will run an Intel Graphics card, which is sufficient for a tablet, but not sufficient for a laptop, that too for gaming! With two USB 3.0 port, one SD Card reader, a mini-display port, a headphone jack, and a socket for charging connection, Microsoft hasn't given any room for complaint regarding low number of ports. The physical keyboard is backlit and has large and well-spaced keys for ease in typing. The screen of the Surface Book is 13.3 inches in size and its display has a resolution of 3000 x 2000 pixels with an average pixel density of 267 ppi, which help render sharp colours. The Surface Book also has a bright display at 355 lux with a very high contrast ratio of 1750:1. The screen possesses a 94.3% sRGB colour gamut and a wide display for an amazing experience. Featuring Windows 10 software, the Surface Book comes in several spec configurations. With the choice of 6th generation Intel i5 or i7 core processor, Intel HD 520 graphics card, and 8 GB or 16 GB RAM, the Nvidia Geforce GPU is optional and if you get it, the performance by this simplistic, gorgeously designed beast will easily support all your gaming needs. However, the irritating and con regarding this laptop is that it has only one USB Port, with no port for HDMI output or slot for SD card reader. 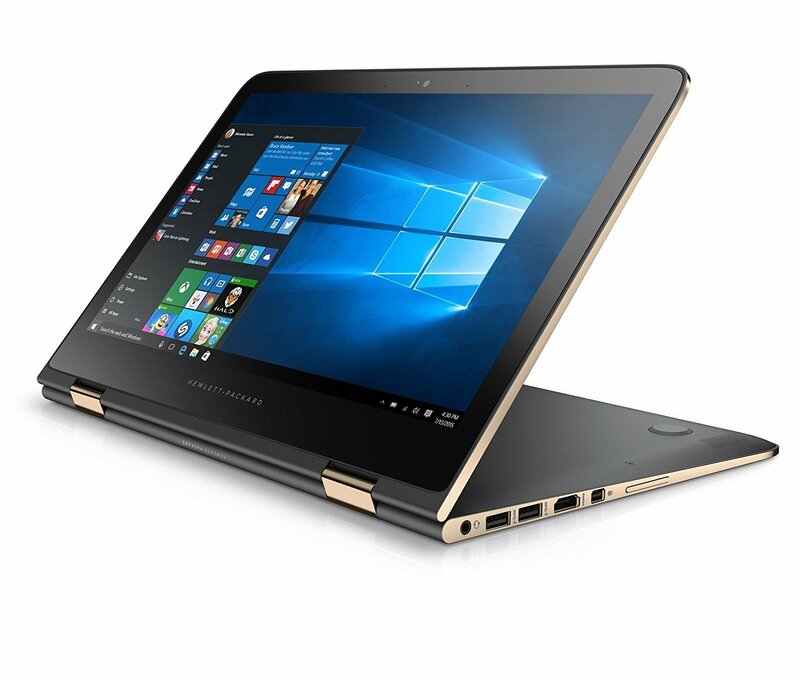 At 10mm thickness, the HP Spectre is the thinnest laptop ever made. Weighing only 1.1 kg, it is extremely easy to carry the device with you in your bagpack. Boasting an aluminium finish and copper coloured highlights, the device is truly eye-catching. HP has divided its battery into 4 cells, and fitted it across the bottom so as maintain the thinness of the laptop. 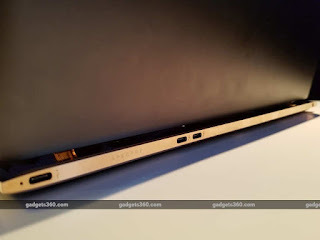 Also, it has used an innovative cooling technology called hyperbaric cooling which has also helped reduce the thickness that is quite common to other laptops. The island-styled keyboard of the HP spectre is nothing short of excellent and are quite sturdy. The keyboard is also backlit, and comfortable to type on. As for the touchpad, they are Microsoft certified precision touchpad, which I feel has become quite old-school nowadays. The device rear has ports for three USB Type-C connections; one is for charging while the other two are for very fast data transfers through USB 3.1 gen 2 port. The HP Spectre box also supplies you with one USB type-C to USB type-A port. I felt somehow that the USB connections are quite limited so you may need to buy some adapters to connect more ports if you need. 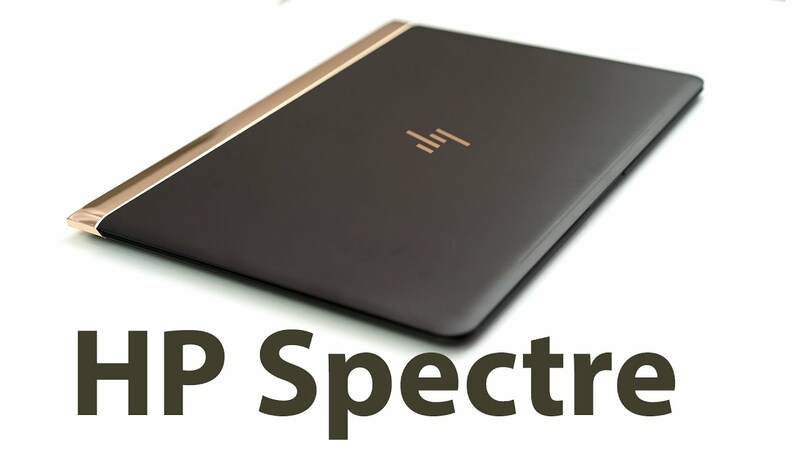 The HP Spectre uses a full-HD IPS LCD screen, which offers excellent contrast (1531:1) and colours. The Spectre 13 also is able to reach a high brightness of 301 lux and its screen is coated by Gorilla Glass to offer a good protection against accidental drops and damages. The display covers 95% of the sRGB colour gamut and thus the display offers rich and vibrant colours. All in all this laptop is truly one of the best. With a great design, its performance is in no way a wrong choice if design is important to you. This is a laptop for those who prefer power and performance. The design is good but doesn't present that eye-catching, drooling factor that is present in some other of the nominees in the list. Armed with a I-7 processor, 8/12/16 GB of RAM, and a Nvidia Geforce 940MX 2GB DDR3L Graphics card, the performance by this little beast is quite satisfactory for playing all the games you want. 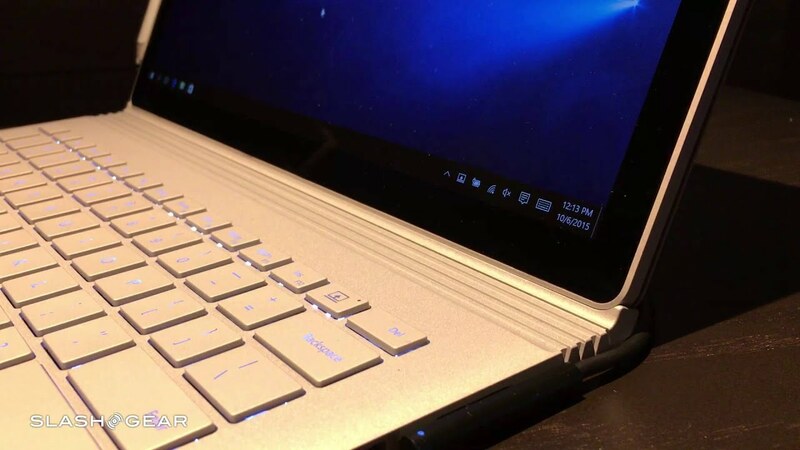 The Notebook 7 Spin runs on Windows 10 OS and has a Full-HD touch display. Its new Video HDR mode makes watching movies quite ideal in this device as it offers lighter lights and darker darks in the laptop. Here is a specs chart from Laptop Mag of this last contender in the list of the Best Laptops of 2017, the Samsung Notebook 7 Spin! So, what do you think of the list of the Best Laptops out yet? Put it down in the comments! Also, DO SHARE if you liked it! Samsung Galaxy S8 Review: What's so Special about the Phone! If you didn't already read it, check out my latest post on the Best RAMs out yet! Awesome collection Adhip, Like your details and depth post. Thanks a lot. We will soon be posting complete in-depth reviews on each of the laptops up here! Seriously, you have done lots of efforts in this!